Susan Lloyd-Hurwitz was appointed Chief Executive Officer & Managing Director in August 2012 and a Director of Mirvac Board in November 2012. Prior to this appointment, Susan was Managing Director at LaSalle Investment Management. Susan has also held senior executive positions at MGPA, Macquarie Group and Lend Lease Corporation, working in Australia, the US and Europe. Susan has been involved in the real estate industry for over 28 years, with extensive experience in investment management in both the direct and indirect markets, development, mergers and acquisitions, disposals, research and business strategy. Susan is the Immediate Past President of the Property Council of Australia, Deputy Chair of the Green Building Council of Australia, a member of the NSW Public Service Commission Advisory Board, President of INSEAD Australasian Council and a member of the INSEAD Global Board. Susan holds a Bachelor of Arts (Hons) from the University of Sydney and an MBA (Distinction) from INSEAD (France). Shane Gannon is a highly experienced strategic finance executive, who joined Mirvac as Chief Financial Officer in December 2013. Prior to this, he was Chief Financial Officer of Australian listed food company, Goodman Fielder Limited. Shane was also CFO and a Board member at CSR, the major Australian building materials manufacturer. Shane has extensive experience in leading the finance function in a public listed company environment and in assisting the restructuring and turning around of underperforming businesses. He has had significant exposure to the property industry during his ten years with Lend Lease where he held a number finance executive roles. Shane has previously held CFO positions at Dyno Nobel, Novera Energy, Employment National and Lend Lease and was also Chief Executive Officer at Novera Energy. Shane holds a Bachelor of Business degree, and is a Fellow of the Australian Society of CPA's and the Australian Institute of Company of Directors. Brett Draffen has over 27 years’ experience across all aspects of the property industry. He was appointed CEO of Mirvac's Development Division in June 2008. In 2013 the role expanded to include Group Strategy and Capital Allocation and in June 2014 he was appointed Chief Investment Officer. Prior to this he held many senior executive positions within the Group, including State CEO roles where he was responsible for major development projects across the residential, commercial, retail and industrial sectors that were either wholly owned by Mirvac, in public-private partnerships, or joint ventures with other major organisations. 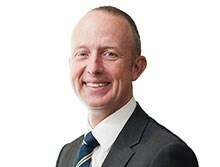 Brett is the immediate past president of the Property Council of Australia, New South Wales and has served as a national board member from 2009 to 2013. He is also Co-Deputy Chair of the Residential Development Council. Chris Akayan was appointed Head of Culture and Reputation in March 2017. He is responsible for Human Resources, External Affairs, Sustainability, HSE and Innovation. Chris joined Mirvac in August 2014 as Group General Manager, Human Resources. Chris has more than 13 years’ exposure to the property sector with extensive experience across human resources, leadership, organisational development, succession planning, learning and development, diversity and employee engagement. Prior to joining Mirvac, Chris spent nearly 10 years at Stockland, with two years in London as Head of HR and Corporate Affairs in Stockland’s UK business. Chris has also held senior consulting positions with Capgemini and EY with a HR, Change and Leadership focus. Campbell Hanan joined Mirvac as the Head of Office and Industrial in March 2016. Prior to this, Campbell was the CEO of Investa Office, a role he held since 2013. He has more than 20 years of experience in the property and funds management industry, 12 of which were with Investa, where he served in a number of senior positions. In his role as Mirvac’s Head of Office and Industrial, Campbell is responsible for the strategic direction and leadership of the Office and Industrial business units nationwide. In addition to this, he oversees the managed funds, integrated asset and property management functions, as well as the development pipeline, with assets under management in excess of $13 billion. Susan joined Mirvac in November 2010 as General Manager - Retail Investments (MPT). Susan has over 26 years of experience in property investment management primarily in the retail sector, including asset and funds management, property and portfolio acquisitions and developments. She has worked in Australia, the US and Europe. Prior to joining Mirvac, Susan was Chief Operating Officer of Galileo Funds Management, a boutique Funds Manager established in 2003. She was the Fund Manager of Galileo Shopping America Trust (GSA), a listed AREIT, and a Director of the RE prior to its sale in 2007. Susan has previously worked for AMP, where she was Managing Director of AMP Shopping Centres and started her career with Lend Lease where she worked for sixteen years. Susan’s last role with Lend Lease was as Asset Management Director (Retail), based in London. Susan is currently the Joint Deputy Chair of the Shopping Centre Council of Australia (SCCA). Stuart Penklis was appointed Head of Residential in April 2017. Stuart has more than 20 years of experience in the property industry, including a number of senior roles in his 15 years with Mirvac, across investment and development in multiple sectors. Since joining Mirvac in 2002, Stuart has played a lead role in securing and delivering a diverse set of the Group’s large-scale residential and industrial development projects, such as Harold Park, The Moreton, Hoxton Distribution Park and Calibre, Eastern Creek, in Sydney. Prior to joining Mirvac, Stuart spent six years at FPD Savills. Bay Warburton joined Mirvac as the Head of Stakeholder Relations in August 2017. In this role he is responsible for managing Mirvac’s external relationships including Government, Media and Investor Relations. Immediately prior to joining Mirvac, Bay worked with Mike Baird as his Chief of Staff, in both his roles as Premier of NSW (2014-17) and prior to that as Treasurer (2011-2014). Before working in Government, Bay worked across a number of sales, marketing and strategy roles at Johnson and Johnson Medical, eBay Australia, Fairfax and McKinsey and Company.